Notice is hereby given that the AGM of the Yea Camera Club Inc. will be held on Wednesday August 10th in the Yea RSL hall. The meeting will take place during/after our regular general meeting which will commence at the usual time of 7.00pm. All executive positions of the club will be declared vacant and nominations are required to fill these positions. Nominations can be emailed to the secretary or presented on the night. Presentation of annual report from the President. Only financial members from 2015 onward will be allowed to vote, but of course anyone can attend. Minutes of the Yea Camera Club Incorporated AGM for the year ending 30th.June 2015 held in the Yea RSl on Wednesday 12th August2015. The minutes have been previously circulated to all members. A motion was placed to have read and approve the minutes. Moved Ann Potts Seconded Alan Synnott Motion approved unanimously. The President reported on the club’s activities during the year and its community involvement as per attached. The President particularly thanked the Treasurer Ann Anstey for her work and announced Ann’s retirement as Treasurer. The Treasurer tabled the financial details for the year, as per attached documentation. Copies of the report were circulated to all members. There were no questions on the report. Motion to accept the report Moved Ann Anstey Seconded Andrew Potts Motion carried unanimously. The President indicated that the membership fee was satisfactory and should remain the same for the 2015/16 year. Motion to maintain fees as current . Moved Kerry Gouldthorpe Seconded Alan Cole Carried unanimously. All executive positions were declared vacant. Alan Cole took the Chair and the secretary gave him some received written nominations.All positions were elected unopposed. For the position of President: Nomination Kerry Gouldthorpe Proposed John Clayton Seconder Joy Clayton . The President indicated that it would even the load on committee members if certain tasks were delegated to members or sub committees. Three appointments were made- Ann Anstey Alan Synnott and Ann Potts. I run a business in Kensington, Victoria called The Fox Darkroom & Gallery. We are running an international photographic workshop in Siem Reap, Cambodia. The workshop is taking place in November. I am writing to ask if you would be willing to share this workshop with VAPS members? It is a fantastic opportunity for those wanting to couple a bit of adventure and better their photography. Wolf Marx, a member of the Australian Photography Judges Association from the Camberwell Camera Club gave a presentation on STREET PHOTOGRAPHY. Here are the notes on his presentation. Definition of Street Photography. – random activities in public places. Usually features people in chance encounters, un- manipulated and unaware. There should be GRACE. Australian Law – no one has the right not to be photographed in a public place. Use commonsense and discretion. Go to political rallies, protests and public events. Try to avoid harsh light. Use small cameras for discrete shots. Use shutter priority 150/200th second. Winner of the Judge’s award for Capture an idea June - light - was Alan Synnott. Highly Commended Ann Anstey and Phil Glowacki. Winner of the Peer Review was Phil Glowacki. Highly Commended was Alan Cole. Homework is 2 Street Photographs taken in Yea.To be emailed to AlanC by the Monday before the August meeting. 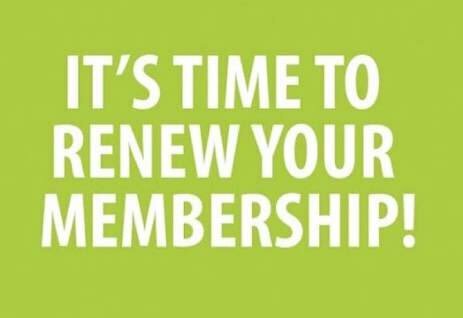 Members are reminded that subscriptions for 2016/17 are now payable ( by direct debit or on pay to AnnA on the night of a meeting). Next meeting will include the Annual General Meeting, at which all executive positions will be declared vacant. Nominations are requested to fill these functions – President, Vice President, Secretary , Treasurer and at least one non executive position . Nominations should be forwarded to John C at yeacamerra<at>gmail.com. Latest promotion form Camera House for your interest.